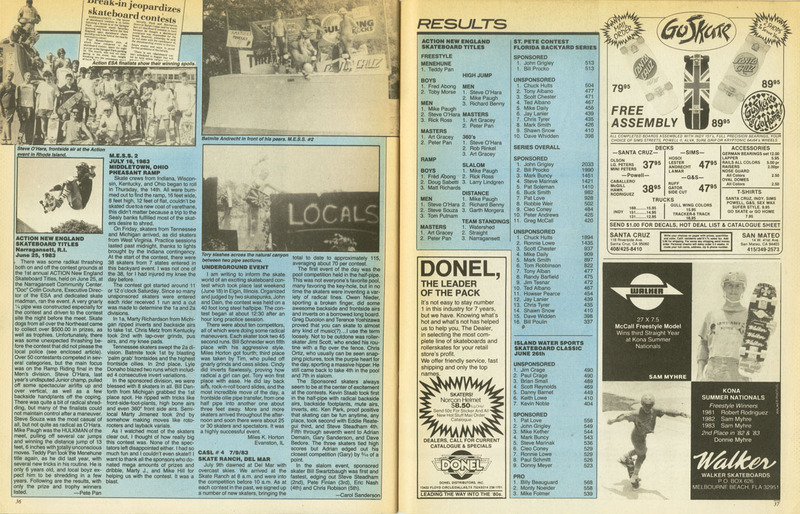 This event took place on June 25th 1983 and was the first annual ‘Action New England Skateboard Titles’ Contest and was run by Colin Couture, Executive Director of the ESA. There was some trouble between the locals and police before the contest began, but it didn’t slow down the event, where $500 was available in prize money. Menehune winner Teddy Pan was only 6 years old.